The Paraffin Wax Warmer is similar to the larger Paraffin Bath from Bilt-Rite but is much more compact and economical. It has a more stylish look and is very efficient because of it's size. If you have tired hands hand feet this is a great product to provide heat therapy. The melted wax soothes and moisturizes skin, nails, and cuticles. The Paraffin Warmer helps you apply comforting heat and much needed moisture to your tired feet or aching hands. The warmth of the wax provides heat therapy and soothes pain and ache. 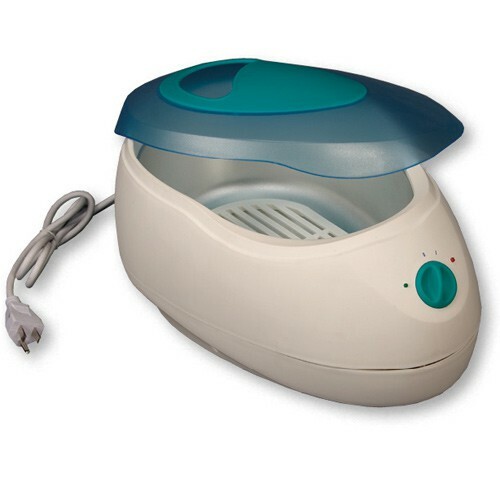 A great tool for any home, clinic or spa, this paraffin warmer is economical and easy to use. Paraffin warmers have been shown to help treat arthritis and other conditions by improving blood flow to the are and helping muscles to relax. Rest assured when using this product that it will maintain a safe and enjoyable temperature throughout use.